Nothing beats a pastry. Ok maybe a steaming cup of tea AND a pastry, but you have to like flakey, sweet pastry. If you don't, I'm so so sorry for you. But pastry can be kind of intimating to make at home. Good thing there are tons of store-bought options making it easy to create something impressive. 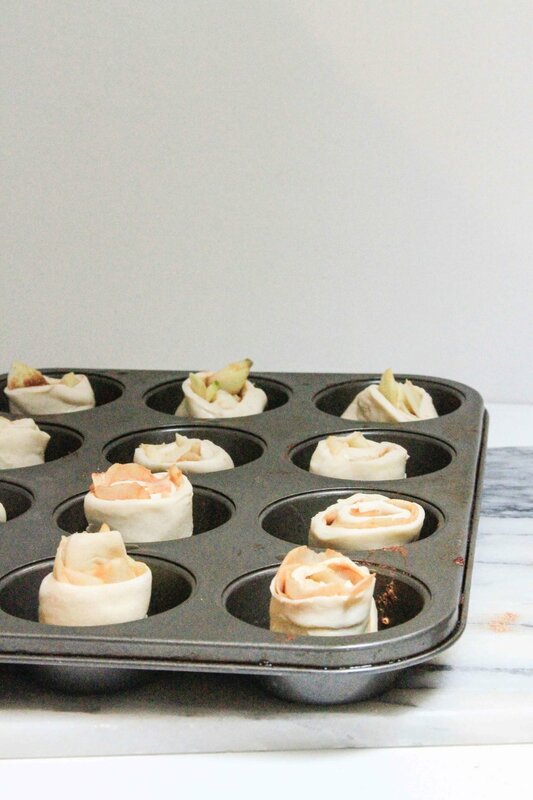 Like these apple pastry buns! These buns have a mix of fall flavors going on from apple to cinnamon, but couldn't be easier to pull off. If you're entertaining, you can even prep everything ahead of time + bake just before serving. The apples become jammy, the pasty gets flakey + you can pull the whole thing apart to expose the layers. Recipe below! Spray a 12-cup muffin tip with non-stick cooking spray. Add a butter cube, 1/4 teaspoon of brown sugar + 1/4 teaspoon of the scrub into each cup. Place this in the oven + remove once the butter melts. Set aside. Prep the pastry by cutting it into 12 equal strips on a floured surface. Keep the pastry in the fridge until you're done prepping the apples. Peel the apples, removing all of the peel. Using the peeler, continue to peel thin stripes from the apples. Keep peeling until you get to the core. To assemble, add 1/4 teaspoon of cinnamon sugar to one side of each strip of pastry. 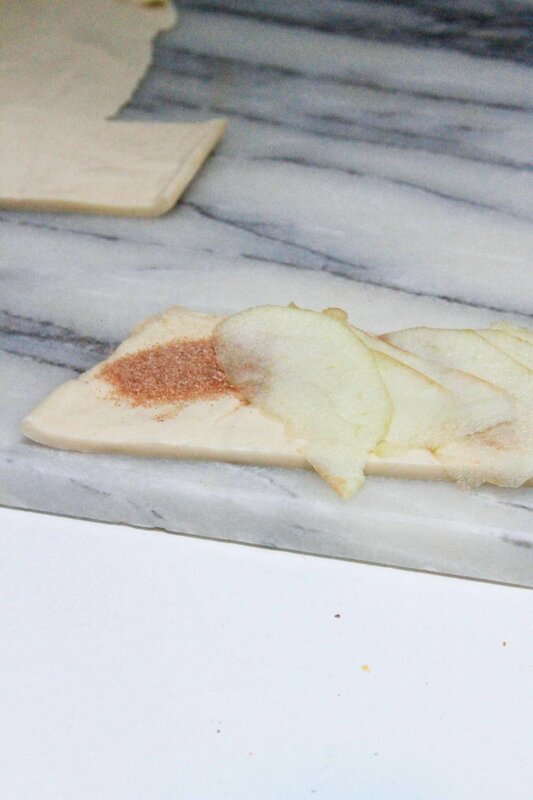 Top each pastry strip with a thin layer of apple. Roll each strip up to form a cinnamon-roll like shape. Add each roll to a cup of the muffin tin, on top of the melted butter/sugar/shrub mix. Bake for 20-25 minutes until just golden brown. Remove the buns from the tin immediately to prevent sticking. Serve right away.